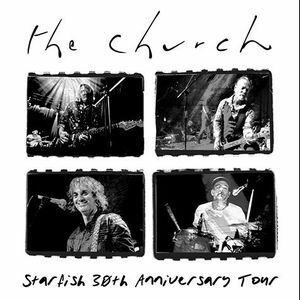 February 13th, 2019 - New York, NY: the church return to the U.S. in April and May for the second leg of the Starfish 30th Anniversary Tour. The band will be celebrating their breakout album Starfish, playing the album in its entirety along with a selection of tracks from their 26 album catalogue. The Starfish Anniversary tour has taken the band across the globe: to the UK, their native Australia and the first American leg this past fall. In June 2018, the Australian paisley underground pioneers are enjoying a year of unique celebrations, which started with a sold-out appearance at the Meltdown Festival in London on the personal invitation of curator, The Cure’s Robert Smith. Followed by a string of dates in the UK – including a sold-out fan convention in Shepherds Bush which saw the band perform their second album The Blurred Crusade in its entirety for the first time in that country – the church arrived in the US on September 30th for a month’s worth of shows, now returning this spring to complete the US circuit. Joining the band onstage once again is ex-Remy Zero guitarist Jeffrey Cain who is also Kilbey’s partner in side project Isidore.